Providing smart and simple solutions for laboratories. We believe things are often more difficult than they have to be. For laboratories it is challenging to get the right solutions that fully meet their needs regarding testing, workflow, automation and infrastructure. Suppliers of lab products mostly provide "one size fits all" products, that don't quite match a lab's specific needs. As a consequence, the lab ends up having to settle for a compromise that is not really satisfactory. This is where Agilor assists labs to reach optimal solutions for their operations. We know that such solutions often are "just around the corner" to be found, and we are experienced in finding and implementing them. 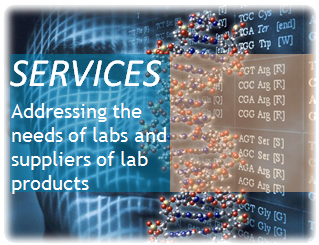 Agilor is an independent developer of solutions for labs. Agilor was founded in 2010 by a group of professionals who have over 10 years of experience in creating solutions for laboratories. For our clients we bring applicable knowledge and skills, an independent and unbiased approach, an open mind and an extended network of experts. This allows us to provide solutions that seem smart and simple, but are not so easy to achieve. We do our activities with planning, structure, method and agility. We believe in using what works. We are passionate about solving problems and we get joy out of seeing our solutions work. We help labs streamline their operations, select or build the right products and tools and turn them into solutions that work. We help suppliers of laboratory products to build products that better fit the needs of labs and that can be better customized to specific lab settings. By truly understanding the needs of our clients, we build businesses that work. © 2010-2019 Agilor Consultancy & Projects B.V.